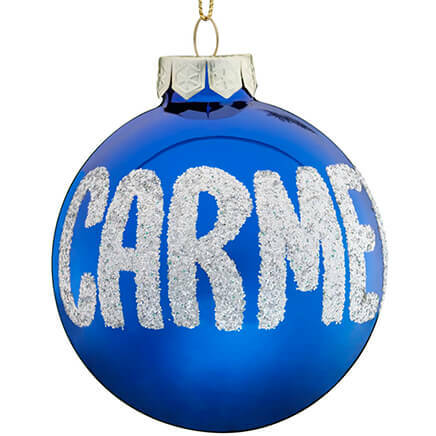 I got this for our Christmas tree. It is a perfect representation of our sweet grandson-in-law. My grandkids will love them for their trees! 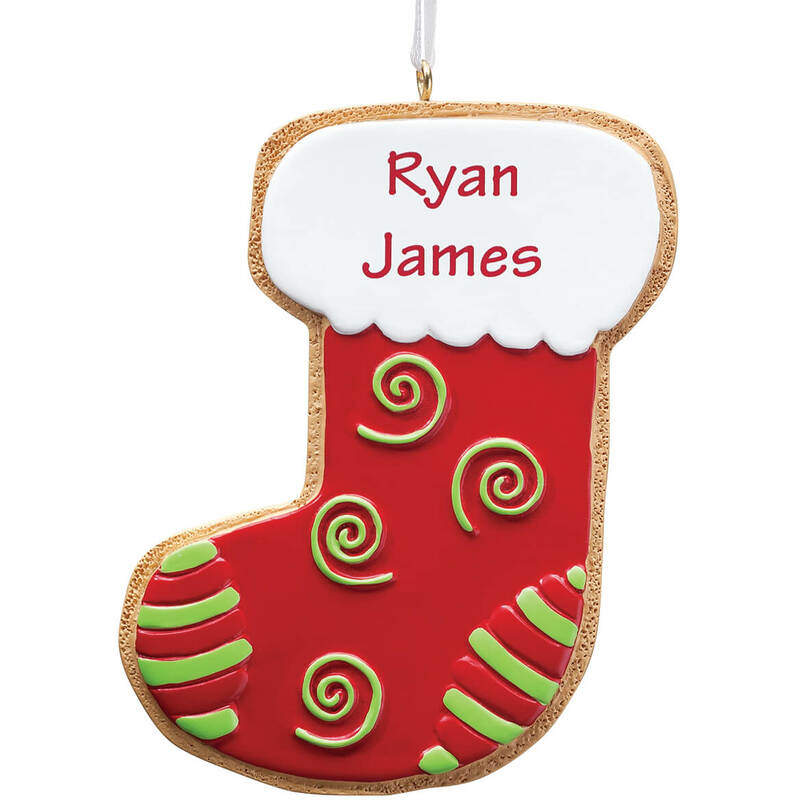 Wanted a personalized ornament for my granddaughter. 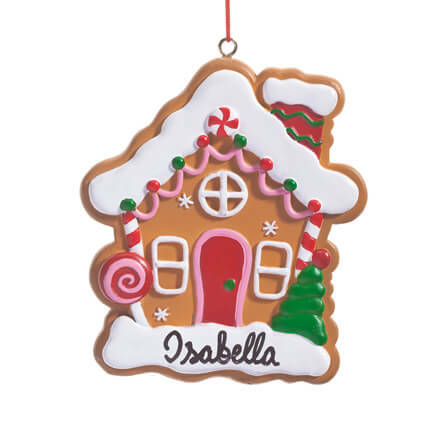 Love the design and my children and grandchildren enjoy getting a new ornament each year. Good quality and I love you can personalize them. One for each member of my family. My ssters and I have been exchanging ornaments for years. Our Grandkids get a personalized ornament every year. It's a little hard to find three similar themed ornaments, without being all exactly the same. Your cookie ornaments gave me the selection I needed. They are very cute, too! purchased two. 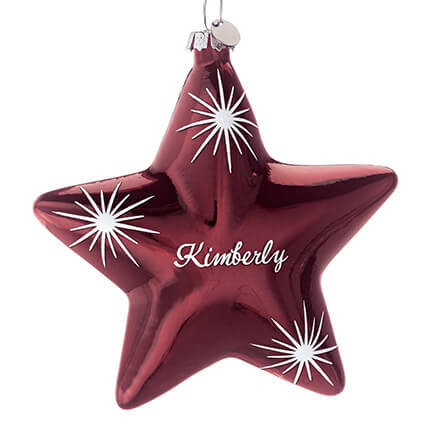 give an ornament each year to each child on list as a keepsake. This one is only ok. dark in color, no sparkles or anything. would not order again. it didn't do anything for me. Order a different ornament year. 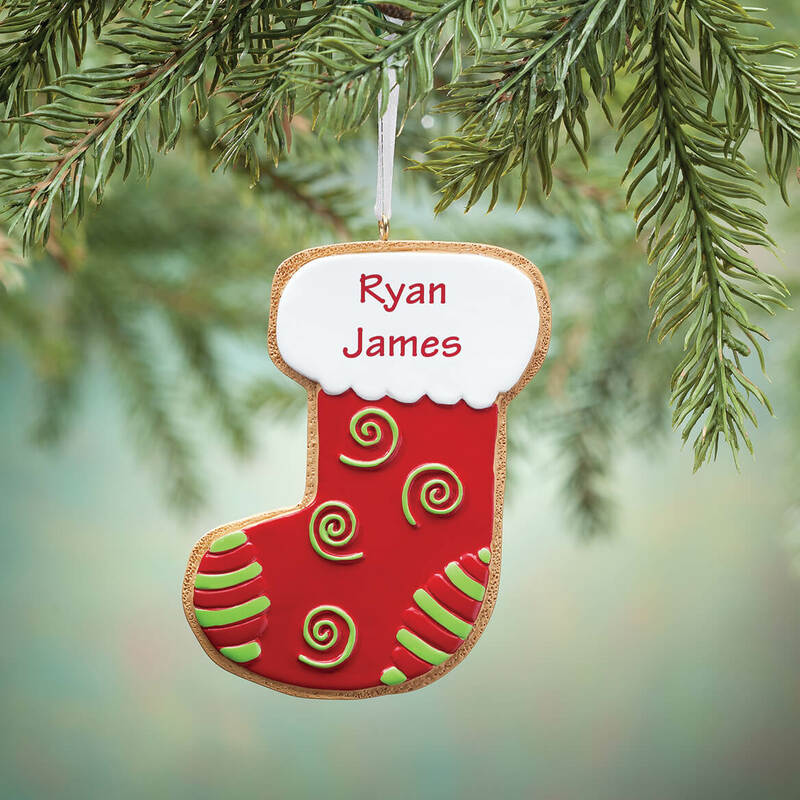 Lovely personalized ornaments make great gifts. 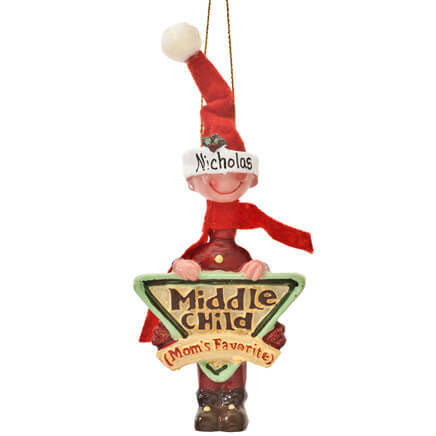 I always get personalized ornaments for my grandchildren. This looks like it will be a nice one to add to their collection. I order my Christmas ornaments from you every year. 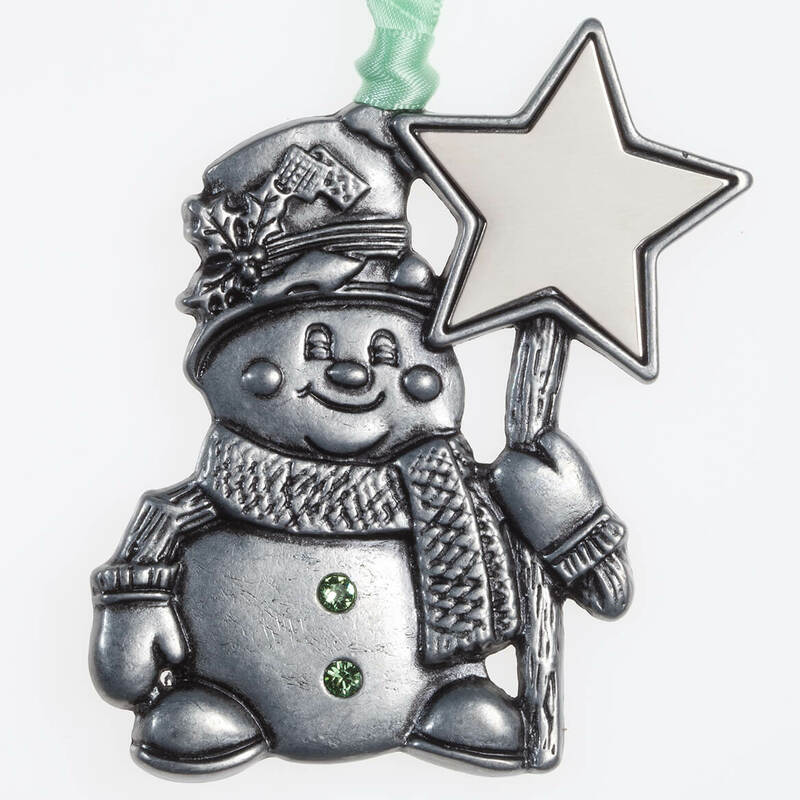 Miles Kimball personalized pewter birthstone snowman ornament includes sparkling birthstone buttons that celebrate one lucky child! Specify month. Specify name; limit 1 line, 8 letters/spaces. Pewter-finish metal. 3"W x 3 1/2" high.